Summary (from the Author): On the back of the dragon Wahirangi, Finn the Fox flees the world he has known. As he sets out to find the brother he never knew of, he still holds in his heart the memory of the Hunter. He has denied his love for her, but he cannot deny it forever. In the halls of the Last Believers, Talyn begins to uncover her own mysteries, but her lust for the death of the Caisah is still strong and clouds her vision. She must choose her path, as the Seer of her people or as the assassin of the overlord. Meanwhile, Byre, Talyn's brother, must venture into the fiery world of the Kindred, to rebuild the pact that his ancestors made. He will risk everything he is as he forms a new pact that will change his people forever. Dragons and myths will be reborn, as the Hunter and her Fox face each other once more. Her first professional sale was in 1997, and since then she has gone on to produce mostly novel length fiction. 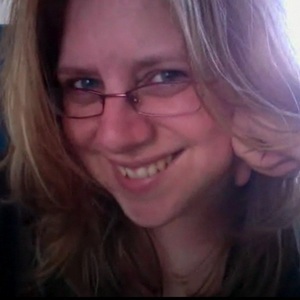 In 2006 she became New Zealand’s first podcast novelist, and she has voiced and produced Weaver’s Web, Chasing the Bard, Weather Child and Digital Magic as podiobooks. Her podcasts have won both a Parsec Award and a Sir Julius Vogel award. Philippa is the author of the Books of the Order series with Ace- Geist, Spectyr, Wrayth and Harbinger coming in July 2013. She is also the co-author of the Ministry of Peculiar Occurrences series with Tee Morris. Phoenix Rising debuted in May 2011 and The Janus Affair came out in May 2012. Phoenix Rising won the Airship Award for best written steampunk, and was the number eight best Science Fiction book of 2011 according to Goodreads.com. The Janus Affair was the seventh most popular science fiction book of 2012 on Goodreads.com. The series continues with Dawn’s Early Light in December 2013. 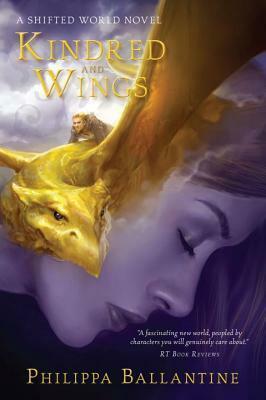 In addition she is also the author of the Shifted World series with Pyr Books, with the first book Hunter and Fox released in June 2012, and the second Kindred and Wings scheduled for August 2013. When not writing or podcasting, Philippa loves reading, gardening, and whenever possible traveling. With her husband Tee and her daughter, she is looked after by a mighty clowder of five cats in Manassas, Virginia. Your second opportunity is to enter the Rafflecopter giveaway below. Good luck!